There may have been few cutting-edge victories like the one of Adegboyega Oyetola in the recent Osun State governorship election. Oyetola defeated Senator Ademola Adeleke, his closest rival with less than 1000 votes. This is a record in Nigeria and possibly in the world. 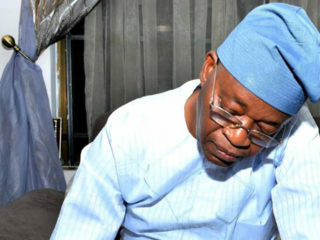 Oyetola had been embedded in the government of Osun State for almost eight years. He is taciturn fellow and a man of few words. He is a direct opposite to his flamboyant boss, our friend, Engineer Rauf Aregbesola. When Aregbesola hears the whisper of a gangan drum, his hands would immediately hold the edges of his agbada, his left foot thrust forward, ready to dance. I am not sure whether Oyetola can be that spontaneous. Oyetola was Aregbesola’s Chief of Staff. Like Aregbesola, he is in the loop of the Lagos power circuit and a great confidant of Asiwaju Bola Ahmed Tinubu, the former governor of Lagos State, who has emerged as the dominant Yoruba player in national politics. Tinubu is the National Leader of the ruling All Progressive Congress, APC, and the constant decimal for men and women of ambition. As shown in Lagos on Tuesday, Tinubu has sharp teeth. Events in Osun show that when you have sharp teeth you have to be careful like the lioness is careful with her errant cubs. So in Osun, the APC became divided into two: those who wanted Oyetola and those who wanted the equally influential former Secretary to the State Government, Moshood Adeoti. When the	governorship candidate of the APC was chosen by direct primary, the Adeoti group alleged manipulation by the Lagos mafia and they moved to another African Democratic Party, ADP. Adeoti was the flag bearer of the party and he showed his clout in the election. Luckily for the APC, its main opponent, the once mighty Peoples Democratic Party, PDP, has mutated into three fiefdoms. 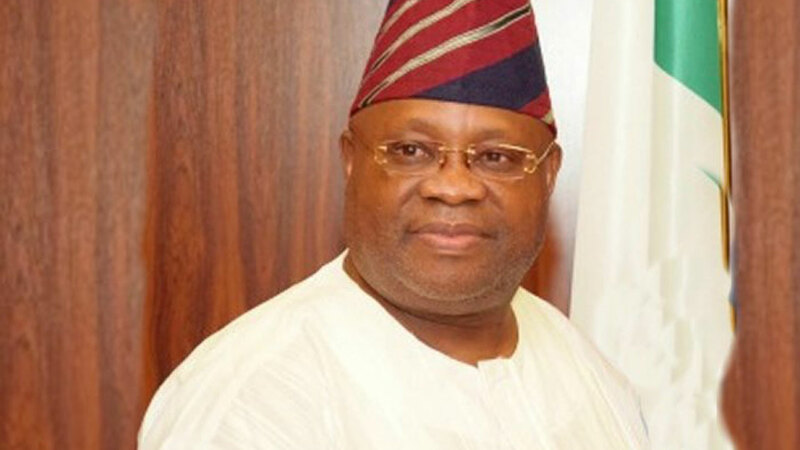 Nurudeen Ademola Adeleke, the Senator noted for his excitability, was the official candidate of the PDP. Ademola is the son of Baba Adeleke, a unique patriot and formidable politician who was a senator during the Second Republic. As a cub reporter in the National Assembly, I and other National Assembly correspondents interacted with baba a lot. He was accessible and friendly. 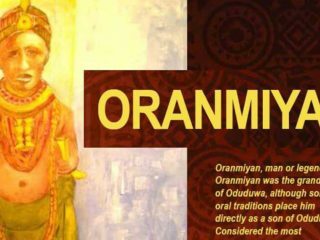 He was member of the opposition Unity Party of Nigeria, UPN caucus under the leadership of Senator Jonathan Odebiyi. Since then he has had the great honour of producing two senators and a governor. Another son, Adedeji Adeleke, is the builder of the pace-setting Adeleke University, Ede and the father of the iconic songster, Davido. Ademola, his son, missed being governor by a hair-breathe. He is challenging his loss in the court. Ademola Adeleke’s loss was due to the alliance entered into by Oyetola’s APC and the Willy Iyiola Omisore of the Social Democratic Party, SDP. He is a constant player in the politics of Osun since 1997 when he wanted to be governor during General Sani Abacha’s fraudulent transition programme. Omisore, a former member of the PDP, took his faction of the party to join the SDP where he emerged the flag bearer. Another faction of the PDP under the leadership of Prince Olagunsoye Oyinlola, the immediate predecessor of Aregbesola as governor, had earlier moved to the APC during the 2015 general election. The Oyinlola group lately declared itself independent of both the APC and the PDP and formed the Chief Olusegun Obasanjo inspired African Democratic Congress, ADC. Its flag bearer was the formidable Fatai Akinbade who for eight years worked with Oyinlola as the Secretary to the Government, SSG. All these divisions among the political elite must have been confusing to the good people of Osun State. There was none among the candidates who had a dominant presence. In the end the two front runners, Adeleke and Oyetola, had to do a fight-to-finish run-off. It was not the neatest ending to an epic story.Election is a sacred ritual of democracy and getting it right is the most critical aspect of the system. Anything could go wrong at that point. Things went wrong in Akure, capital of Ondo State in 1983 because some people were determined to get things wrong. That year, there were two leading candidates for the governorship election: the incumbent governor, Chief Adekunle Ajasin and his challenger of the National Party of Nigeria, Chief Akin Omoboriowo. Both men once belonged to Chief Obafemi Awolowo’s Unity Party of Nigeria, UPN. In 1979, Ajasin was elected governor on the platform of the UPN. Omoboriowo was his deputy. By 1983, Omoboriowo had rebelled and was now the flag bearer of the conservative NPN. So on August 13, 1983, people of Ondo State went to the poll to elect their new governors. Both Ajasin and Omoboriowo were well known to the electorate. Making a choice was not difficult. Whether that choice would be respected by the power-that-be was another matter. The Ajasin group set up a Situation Office in the Government House. Five young men were brought in to man the office. They occupied one of the chalets facing the two-bedroom Governor’s Lodge. The five men were Dr Olu Agunloye, Dr Olusegun Agagu, Dr Olu Agabi , Dr Olusegun Akinkanye and Dr Olu Fayemi. 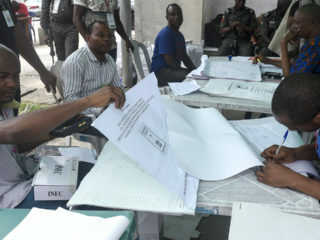 Their duty was to get the correct tally of votes from each polling station across the state (now Ondo and Ekiti). Agunloye was the man who manned the lone computer. He has a doctorate degree in mathematics. Every result was collated and by Sunday all the results were in and the team realised that Ajasin had coasted home to victory. But on Tuesday August 16, the Federal Electoral Commission, FEDECO announced that Omoboriowo had won the election and Akure and other towns in the then Ondo State exploded into violence. The angel of death made a bountiful harvest and the aftershock is still with us till today. 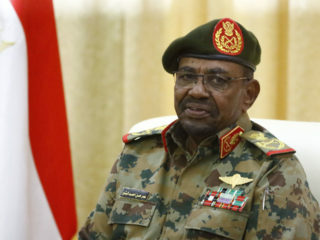 The state FEDECO Commissioner, Chief O.I.A Afe and members of his team, fled. The FEDECO headquarters was burnt and Akure bore the brunt of war. Few weeks later, Colonel J.O Ayo-Ariyo, the burly former military commander who had conducted the election in Bendel (now Edo and Delta) State which saw the victory of Brigadier Samuel Ogbemudia over Professor Ambrose Alli, was re-deployed to Ondo State to conduct the remaining federal and state elections. I knew Colonel Ariyo and one of his sons was my contemporary at the then University of Ife (now Obafemi Awolowo University). Ayo-Ariyo was an open and warm person who would not suffer fools gladly. One day he said I could join a FEDECO team that would tour the riverine areas in an helicopter. The team would depart in the morning from the field of Oyemekun Grammar School, Akure. The following morning by 7 a.m, I was on the field accompanied by my friend, the late Cyril Egborge, my old classmate at the University of Lagos, who was then a staff of the Federal Polytechnic, Akure (later moved to Ado-Ekiti). But the helicopter could not carry all of us and Colonel Ariyo volunteered his space to another FEDECO staff. I was asked to step down. The team had a successful tour across the state. The helicopter returned into the clear sky of Akure around 6 p.m. It descended on the field of Oyemekun Grammar School and landed with a big bang. It exploded and fire gutted the helicopter. Everyone on board died. For me and others who missed the flight in the morning, it was a singular experience. Democracy, like the helicopter ride, should not be taken for granted. The people, as shown by their conducts during the Ekiti and Osun elections, are committed to the ideals and rituals of democracy. However by the result of those elections, they are not sure yet which elite class to follow. Such is the division in the country, especially in Yorubaland. It is now the turn of the political elite to show greater commitment to democracy so that this experiment does not crash. As shown by the experience of that great ship, the Titanic, no ship is actually unsinkable.